Dr Coleman received his undergraduate degree at the University of Queensland and completed Urology training in Queensland. He then undertook subspecialty training in Paediatric Urology at Birmingham Children’s Hospital, UK. Following completion of subspecialty training, he continued at that centre as Specialist Paediatric Urologist from 2013, developing the Urinary Tract Stone Service. He returned to Australia, joining Monash Children’s Hospital in September 2015, where he will develop and lead an Adolescent and Transition Urology service and consult to the Spinal Anomalies Service. 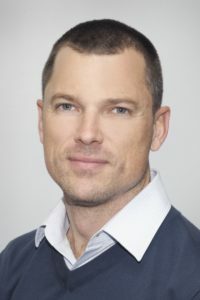 Dr Coleman is a Fellow of the Royal Australasian College of Surgeons and a member of the Urological Society of Australia and New Zealand (USANZ) as well as the International Paediatric Endoscopy Group (IPEG). He is the first Australian to attain status of Fellow of the European Academy of Paediatric Urology. Dr Coleman manages all paediatric urological conditions, with special interest in hypospadias, stone disease, reconstruction, adolescent urology and laparoscopic surgery.